WILLEMSTAD – Real Estate brokers and car dealers in Curaçao must be registered at the Financial Intelligence Unit Curaçao (FIU) and their own supervisor. 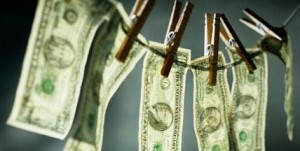 According to the anti-money laundering legislation, all reporting agents must register. Depending on the sector, this may be the FIU Supervision Department, the Central Bank or the Gaming Control Board. In addition, all reporting agents must also register with the Analysis Department of the FIU, which receives the reports of unusual transactions. The Public Prosecution Service and the Financial Intelligence Unit Curaçao started a project in November to promote the registration of reporting persons and institutions at FIU. For the time being, they focus on a group of brokers and vehicle traders. The aim of the project is to improve the reporting behavior and the client investigation of reporting agents. The FIU as supervisor has a total of nine of the more than twenty reporting professional / business sectors under its supervision. These include brokers, vehicle traders, notaries and administrative offices. Unlike the other supervisors, FIU does not already know its supervisors by issuing a permit or dispensation. The same applies to the Analysis component of the FIU. In order to ensure that all supervisors have insight into who they have to supervise, the registration obligation was legally introduced at the end of 2015. Whether an organization falls under the supervision of FIU can be viewed on the organization’s website. Regardless of who the supervisor is, all reporting agents must legally register with the Analysis component of FIU. The FIU as an analysis organization has a better view of the reporting behavior of the various sectors through the registrations. As a result, it can also provide better information to the various regulators. If persons and institutions do not comply with their registration obligation, this can lead to prosecution by the Public Prosecution Service. Non-registration is in fact a criminal offense. This could result in a maximum of one-year imprisonment or a maximum of 100,000 guilders, or both penalties. In the event of a crime (intent), a maximum of four years imprisonment or a fine of up to 1,000,000 guilders or both penalties are possible.